"Hey, Alexa, can you turn the temperature down to 68º?" Of course she can, at least in the millions of homes that have smart thermostats and digital assistants. 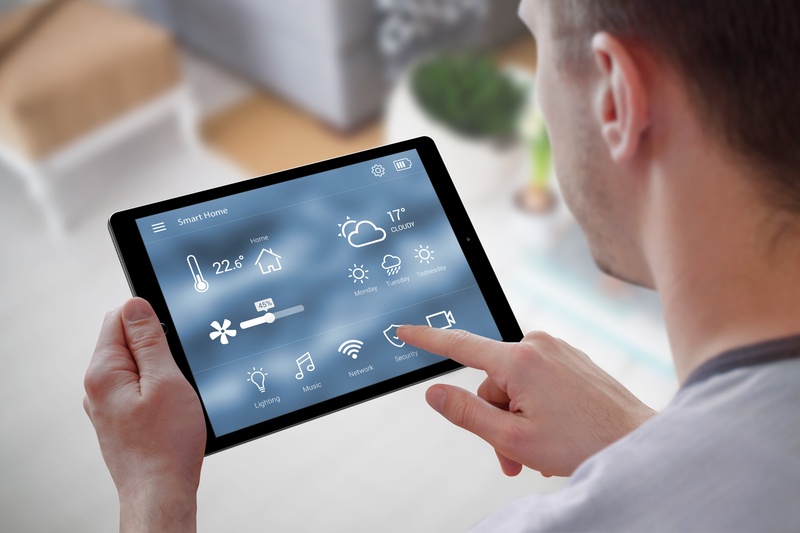 Thanks to the Internet of Things (IoT), you can turn down the heat, turn on the lights, adjust the shades, and lock the doors simply by tapping a phone app or talking to a digital assistant. It's the kind of technology you might have dreamed of while watching the Jetsons or a sci-fi movie, but now it's becoming commonplace. However, the smart home technology is still evolving, so it's important to check compatibility. Smart thermostats like the Carrier Cor changed the way we work with home heating and air conditioning. They intelligently adapt beyond manual programming to learn and identify ideal settings for greater efficiency, create energy usage reports, and even alert you when it's time for routine maintenance. You can easily control your comfort settings, and set or change your schedule remotely via phone app or wi-fi connection (Hello, Alexa). A smart thermostat must be compatible with your HVAC system to work its magic, so Carrier designed the Cor to be readily compatible with a number of brands and types of systems. The Cor will work with most two-stage heat and two-stage cooling systems, gas furnaces, oil furnaces, and electric furnaces with or without air conditioning. Heat pumps? No problem. The Cor thermostat works with any multi-stage system. The Original Cor Thermostat is compatible with Amazon Alexa and Apple HomeKit, the Cor 5C and 7C are compatible with Amazon Alexa, and Cor Home Automation can be set up to communicate with any of the Cor thermostats and with Amazon Alexa. Security monitoring. By adding indoor and outdoor cameras, a connected home makes it easy to monitor your home from anywhere you have an Internet connection. Smart doorbells make it convenient and safe to know who’s at your door even when you’re not home. Front Door. The ability to lock and unlock doors remotely is also a great convenience, as well as a smart security measure. Humidity control. Many smart thermostats come with humidity control, so you can monitor and control your home’s humidity levels and temperature remotely. Lighting. You can automatically turn on and off your lighting, both inside and out. Or, you can control your home’s lighting remotely. Either way, you’re adding another level of safety and security to your home. Fire and smoke alarms. WiFi-connected fire and smoke detectors can notify you instantly of any problems. Some systems can also detect flooding or other adverse home conditions. You can even add additional controls like a free sensor, water sensor, water shut-off, dimmer switches, and appliance controls to your home automation system. With advances in smart technology, we're quickly getting to a place that's even more advanced than the Jetsons could have imagined. What Features and Devices Can I Sync with Cor Home Automation?